The Liebers: Wouldn't It Be Loverly?! 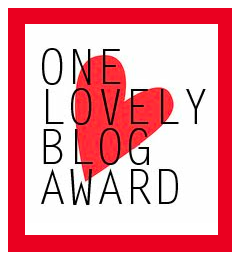 Echo nominated me for the One Lovely Blog Award. It was back in January, so I'll bet she thinks I forgot all about it. But, nope! Like an ninja-elephant, I remember to do things at random moments and sneak up on you about it. Actually, I just had too much on my plate and I couldn't get this scheduled until now. -- Thank and link back to the person who nominated you. – Share 7 things about yourself. – Nominate 15 other bloggers and comment on their blogs to let them know. I am five feet tall. I also wear a size five shoe, wedding ring, and underpants. 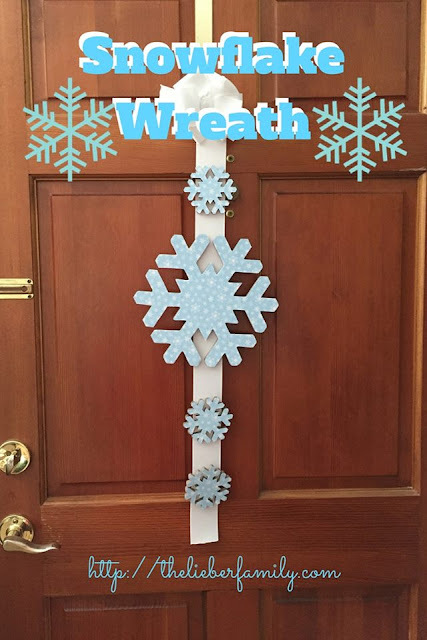 There are five people in my birth family and five people in the family I created. And I have never been on a quest for a six-fingered man. I do not like coffee. Mostly it's the taste, although I do like the smell. It's also because caffeine and I do not get along. I had a caffeine addiction in college and when I finally kicked it, I had headaches and jitters for weeks. Now I mostly stay away. Yesterday I had a Dr. Pepper (AKA elixir of the gods) for lunch and I power cleaned my house. I also did not sleep well last night. I like math. I like puzzles. I sometimes doodle long division for fun. 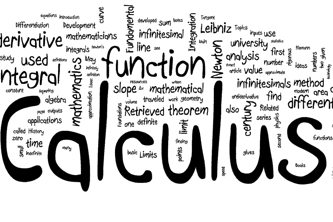 Calculus and Trigonometry make my head hurt though. I have my ears pierced twice. Once from when I was 6 weeks old and once from when I was 11 and finally stopped wetting the bed. I don't usually wear anything in the second holes (but I still don't wet the bed). I like to read. I read very fast, but my comprehension is not that great. I mostly read for fluff, though, so that doesn't really matter. I sing along with everything on the radio, but I rarely know the names of the songs or artist. So, I'm going to be kinda lazy and cheat on the nomination part. I really don't have the patience to go look for 15 other blogs that have not received this award, so if you are a regular (or irregular) reader, consider yourself nominated. I mean, if you read here, you must be lovely...right?? Hahahaha, Like a ninja-elephant! I love that! Good stuff, Rabia! Oh my goodness Rabia (aka ninja elephant) you are so funny! 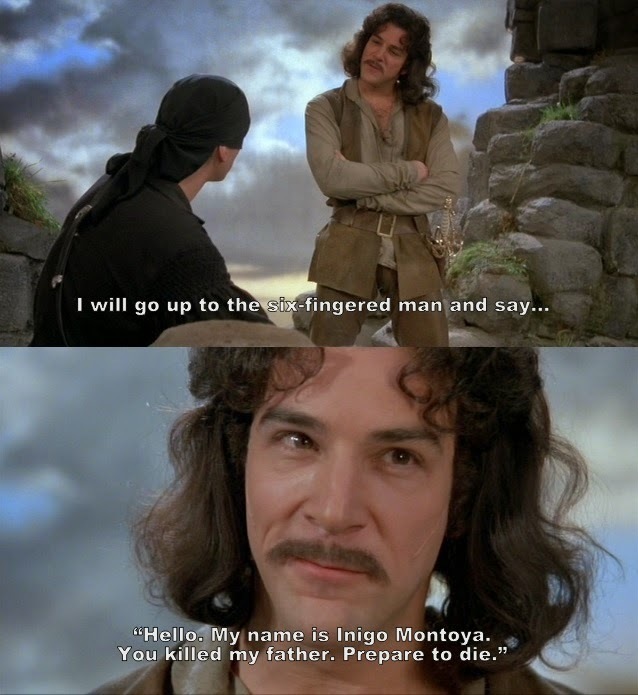 I would never go looking for the 6 fingered man as well! P.S. I am right there with you, I so appreciate being nominated, but I just don't end up getting the post done sometimes on those nominations. 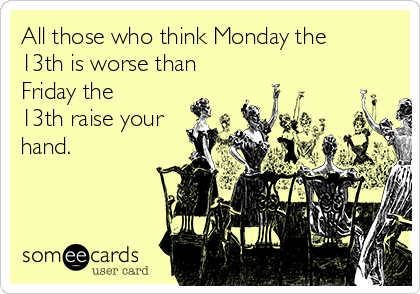 I had it planned for last Monday, but then something else came up and I postponed it. My calendar has been crazy lately! Glad you caught that! I was especially proud of that turn of phrase! I didn't realize you were 5 feet tall. Do you have a hard time finding shoes? I have a friend who also wears a size 5 and it is hard to find ladies shoes for her. I'm with you - don't like coffee but love math and puzzles!!! Shoes are the worst! I usually buy online because most stores don't even carry my size. I walk in to a shoe store and ask "Do you carry fives?" Then shake their heads and I leave. That's how shoe shopping goes for me! I love wearing earrings in the lower holes and I've never had any issues with them at all. The other holes are sensitive though, and they itch when I use them.